Warm weather is here and with it the everpresent icecreams. I spotted this lucious fruits of the forest icecream somewhere in La Barceloneta. Actually, I took a big pistachio scoop. Not that I don't enjoy berries but pistachio and mango are my favorites. 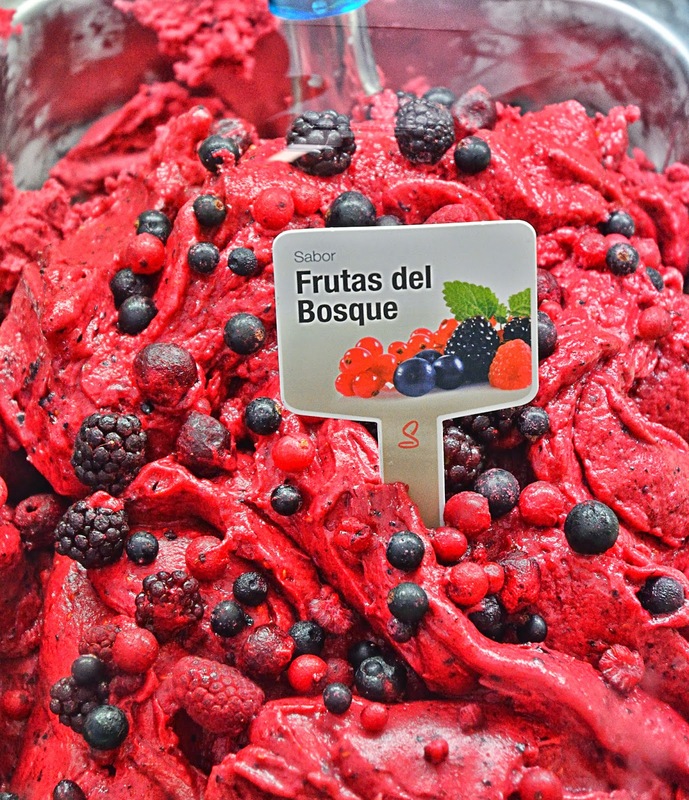 Nevertheless, from all the possible choices for an icecream shot, I think forest fruits or frutas del bosque probably is the best. Which one is your favorite?